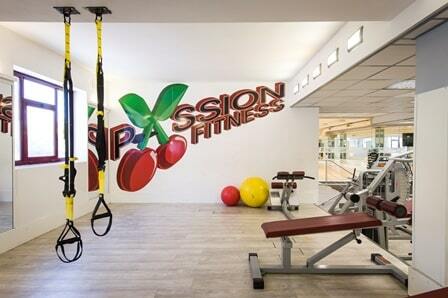 Passion Fitness is a new approach Fitness, a new way of training indoor in Rome. In our 6 Locations spread all over Rome, you can find a Gym equipped with latest generation machinery, rooms for hundreds of different Gym Classes every months, such as Pilates Classes, Zumba Classes, Spinning Classes. In all Passion Fitness Locations we pay attention to maintain a cosy space, a climatized air, and fresh and clean locker rooms. Passion Fitness philosophy translates into a time flexible Class Schedule, adoption and teaching of some of the most advance and personalized work out technique, and the general propose of adapting our Gym to your desires and needs. Our personnel is highly qualified and trained to achive such goals. Our Staff is at your disposal for every kind of information or assistance, so that you may find the right training for you. We know that by doing so, you might achive your goal faster. Our mission is to be able to make you find time to devote to yourself, get you back in shape, take care of your health and wellbeing.